The Home Run Derby is one of the most popularized events during the MLB season. And last year, I was able to predict Giancarlo Stanton’s impressive victory in San Diego. So in this segment, I will give you predictions as to who will bash and who will crash: all while trying to be correct for two consecutive years. 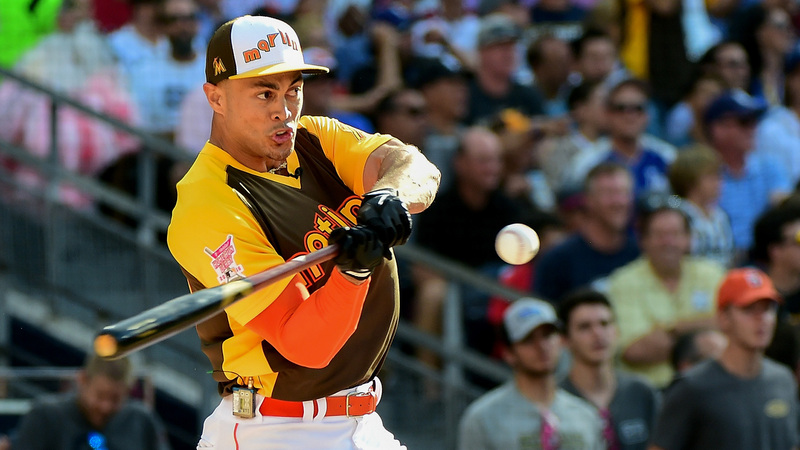 Giancarlo Stanton won the Home Run Derby last season (Harry How/Getty Images). Stanton is the reigning champion, the strongest player in all of baseball, and has legendary power. Gary Sanchez is still developing and quite honestly didn’t deserve to be in the Derby over players such as Logan Morrison. Even if Sanchez hones his skills, his raw power needed to win the Derby won’t be nearly as good as Stanton’s. 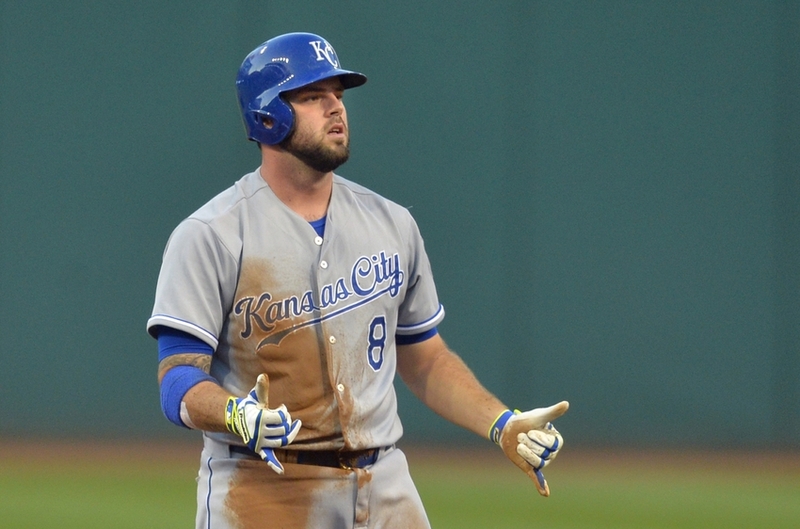 Moustakas ties for third in baseball with 24 home runs (Dave Richard/USA TODAY Sports). Just like Gary Sanchez, Miguel Sano is still a developing player who hasn’t fully tapped his potential. Moustakas on the other hand is an established veteran who is getting his first chance at a Derby title. In addition, Moustakas has so far bested Sano in home runs (24 to 20) and isolated power (.290 to .270) this season. Sano’s raw power could surprise some people, but I’m going to stick with Moustakas. Bellinger is second in the major leagues with a .359 isolated power (Rob Tringali/Getty Images). Blackmon is a far better overall hitter than Cody Bellinger, but when it comes to power Bellinger takes the cake. He paces Blackmon in homers (24 to 18) and isolated power (.359 to .263), and in general has shown that he could end up being one of the elites in the home run department. In addition, Blackmon’s home run numbers are skewed by his home park of Coors Field, where the conditions are extremely hitter friendly. Judge’s 6’7″, 282 pound frame makes him one of the largest players in baseball (Robert Sabo). Aaron Judge is the one player on this list who could possibly be more powerful than Stanton. This is based on his swing, but also on his immense size as Judge’s 6’7″, 282 pound frame practically makes him a football player deciding to put on the Yankee pinstripes. This size and power makes him one of the elite sluggers in baseball, who currently leads the entire league in isolated power, home runs, and slugging percentage. He is a monster who is certainly not going to be ousted by Justin Bour, who is not a bad player, but nowhere near the level of Judge. Stanton currently has three less homers than Moustakas (Getty Images). While the stats scream Moustakas, Stanton’s raw strength and power are far superior. 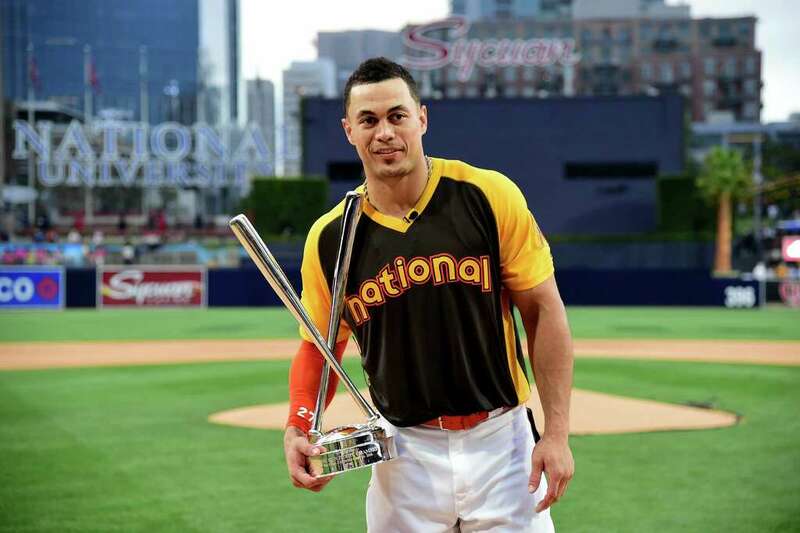 Stanton is a gym rat who works out constantly, which gives him the strength that allowed him to record the most home runs in a single Home Run Derby performance (61). Moustakas can hit for power, but is surely no Giancarlo Stanton. I also believe that Stanton won’t lose in the second round on his home turf. Aaron Judge paces Cody Bellinger on every hitting statistic related to power (Getty). Judge is a native of California, but he’ll sadly have to take down Los Angeles rising star Cody Bellinger. Both of these youngsters are extremely gifted but once you compare them it starts to get ridiculous, so let’s do just that. Judge: 28 homers, 63 RBI, .360 isolated power, and 689 slugging percentage. Bellinger: 24 homers, 56 RBI, .359 isolated power, and .620 slugging percentage. Judge: 6’7″ and 282 pounds. 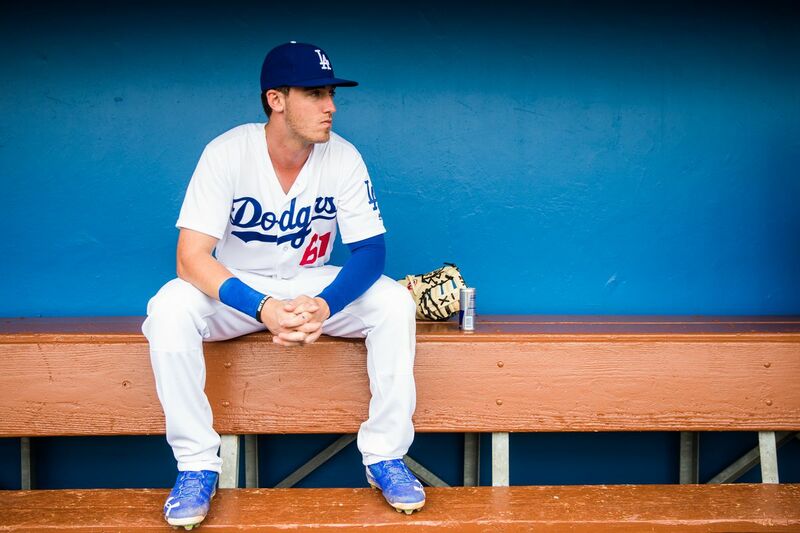 Bellinger: 6’4″ and 210 pounds. Enough said. Judge is on pace to win the American League triple crown title (Patrick Semansky/AP Photo). 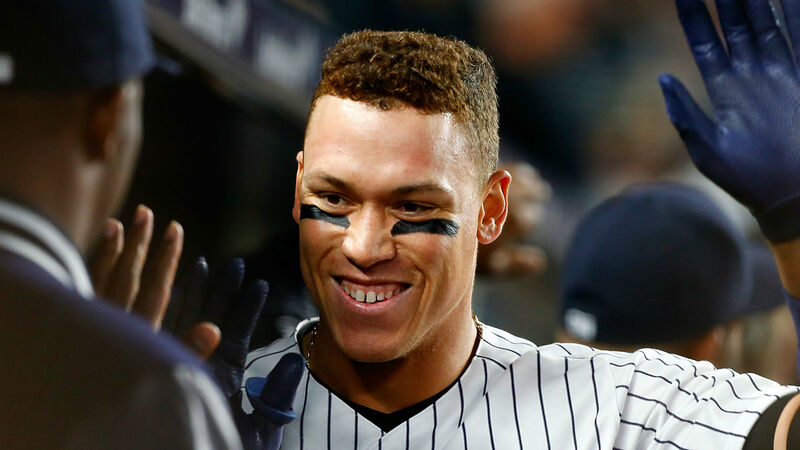 The only upset that I believe will occur in this Home Run Derby is when Judge will show everyone who is truly the best power hitter in baseball. When comparing size and strength of these two sluggers, both even themselves out as Stanton is considerably stronger and Judge is considerably larger. But two things distance Judge from Stanton, one of which is yet again the ridiculous numbers he’s putting up this year that aren’t even comparable to Giancarlo. But what I think will truly distance Judge from Stanton is that Judge’s swing is more smooth a relaxed. This may not sound important but an important attribute in this Home Run Derby is endurance throughout the round as you have to hit home runs for a long time. This quick and smooth swing is something that won’t tire him out and will thus help him to his first ever Home Run Derby victory. Despite what I think Judge will do once the All-Star break is over; his size, strength, smooth swing, and power are undeniable.